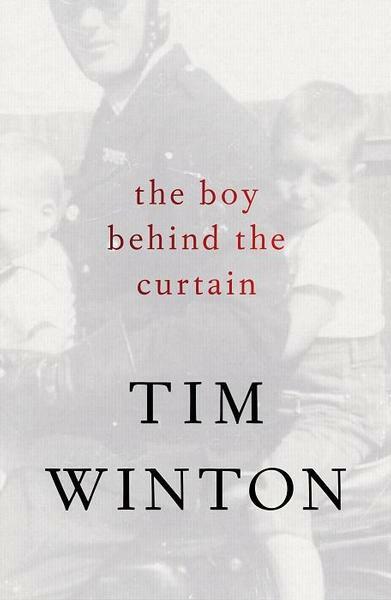 It has been an enlightening experience to read these essays about Tim Winton’s life in The Boy Behind the Curtain (Penguin, Hamish Hamilton). 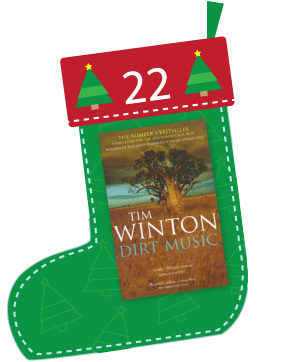 They fill some of the gaps in and between his books, as well as enhancing the books themselves and perhaps even allow us to vicariously experience some of Winton’s own life and passions. Perhaps we now take the saving of Ningaloo Reef in Western Australia for granted. It was both fascinating and empowering to read the chapter, ‘The Battle for Ningaloo Reef’. 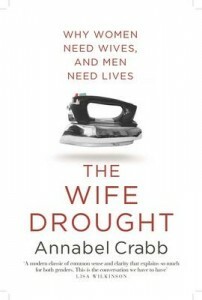 This significant chapter is one of a couple that has particularly lingered after finishing the book. Powerful forces often barrage anyone who tries to stand up to moneymaking schemes. The struggle to save Ningaloo is documented by Winton so that we see the powerlessness of the underdog trying to fight determined developers. The protestors are often voiceless, even a prominent figure such as Winton. It seems only when persistence and a groundswell of people join the campaign that environmental icons such as Ningaloo can be saved. Tim Winton describes dead zones, areas where marine life can’t live, in ‘Sea Change’. He wrote the popular fable Blueback in 1997 and wonders if this unconsciously preempted his role as environmental advocate. His love of the sea’s creatures extends to sharks. In ‘The Demon Shark’, Winton protests against the killing of sharks and compares them with bees, which actually kill more Australians each year. Removing shark fins from live sharks is unconscionable. Poet Les Murray is referred to twice in the book. In ‘Holy and Silent: On Peter Matthiessen’s Blue Meridian’, Murray is quoted as describing ‘a sense of space’ as “the quality of sprawl”. Winton’s youth spent inhabiting the freedom of the coast, particularly by fishing and surfing, has continued throughout most of his life and is also outlined in ‘The Wait and the Flow’. His childhood is memorably described in ‘The Boy Behind the Curtain’, where he stood, concealed, aiming a gun at those who passed by. Transformative experiences occurred when his father was hit by a car. A Christian man cared for him and Winton learned that strangers ‘could wreck your life and do you harm [but also be] capable of mysterious kindness’. This led to Winton and his parents becoming Christians. Winton later refers to the question asked by Jesus in ‘Stones for Bread’, “If a child asks you for bread, will you give him a stone?” as pertinent to Australia’s treatment of children in detention centres. This is an issue about which he is seething. We also learn about some of his writing influences: Elizabeth Jolley as an unconventional mentor; the novel he dumped with enormous angst in ‘Lighting Out’; and the Irish cottage he lived in for a time in ‘Letter From a Strong Place’, with its strong echoes of The Riders. Evie’s Wyld’s brooding novel, All the Birds, Singing is hard to let go of. 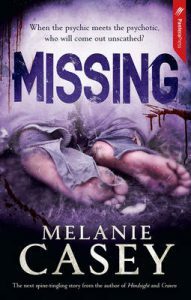 A damp menace clings to the story from the very first line and draws the reader in as the main character Jake Whyte attempts to discover who or what is mutilating her sheep. At the same time we are sucked backwards to the Australian outback, to uncover Jake’s past and understand why she is living on an isolated British island – her only companion: a dog named Dog. Wyld’s book recently won the Miles Franklin award, beating Tim Winton’s Eyrie, Richard Flanagan’s The Narrow Road to the Deep North, and others, with its evocative prose. 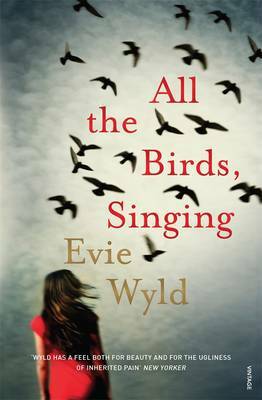 “Spare, but pitch perfect,” was how the judging panel described Wyld’s writing – “visceral and powerfully measured in tone.” But it’s the structure of All the Birds, Singing that also has me intrigued. Wyld uses alternating chapters to move the story forwards on the windswept farm and backwards through the outback. The tense of the writing also alternates, with Wyld using the present tense for the flashbacks and the past tense for the rest of the story. The book leaves great gaps in the narrative, but compels the reader to find the source of Jake’s damaged emotional and physical state as well as the identity of the sheep killer. Wyld apparently had intended to keep the narrative simple when she started this story, but found barriers were thrown up by her choice of writing in first person. She had to find a way to solve them. After writing 50,000 words she decided that reversing the chronology of Jake’s past was a better was of telling the story. Wyld builds tension with the flashbacks that take us deeper into Jake’s past, and ultimately to the decision that changed everything. We are fed uncensored snapshots of an ugly side of Australia – in outback towns, on a fly-blown sheep property and above a greasy take-away shop, meeting a cast of troubled characters along the way. These scenes are contrasted with the boggy sheep farm where Jake has gone to escape her past. But even here she’s haunted by some kind of beast. A maths problem has never been so darkly engaging. Feel free to visit my website or you can follow me on Twitter and Facebook. 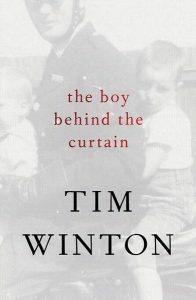 Ben Ball, Publishing Director, Penguin Books Australia has revealed a new novel by Tim Winton will be published on 14 October 2013. “I’m delighted to be able to announce that on October 14 this year we will be publishing a new novel by Tim Winton, his first since the Miles Franklin Award-winning Breath. 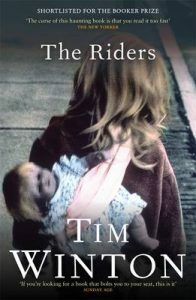 Each new work from Tim is a major event in Australian publishing and a privilege to be involved with. Eyrie is one of the very few books I’ve ever read that can genuinely be said to change the way you look at the world. It goes straight at the big questions, and like the greatest contemporary novels, expands its readers’ understanding of what it’s like to be alive now. Eyrie by Tim Winton will be published by Hamish Hamilton, an imprint of Penguin Books on 14 October 2013. 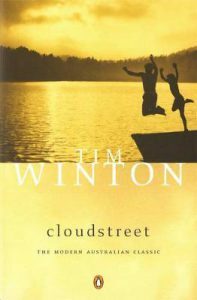 Cloudstreet is a novel by Australian writer Tim Winton. It chronicles the lives of two working class Australian families who come to live together at One Cloud Street, in a suburb of Perth, over a period of twenty years, 1943 – 1963. 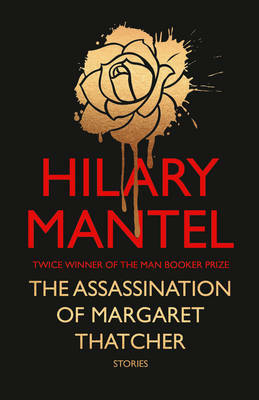 It was the recipient of a Miles Franklin Award in 1992. Precipitated by separate personal tragedies, two families flee their rural livings to share a “great continent of a house”, Cloudstreet, in the Perth suburb of Dalkeith. The two families are contrasts to each other; the Lambs find meaning in industry and in God’s grace; the Pickles, in luck. The Lambs’ God is a maker of miracles; the Pickles’ God is the ‘Shifty Shadow’ of fate. Though initially resistant to each other, their search and journey for meaning in life concludes with the uniting of the two families with many characters citing this as the most important aspect of their lives. 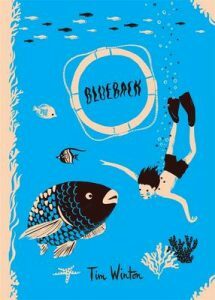 As a novel, Cloudstreet is tightly structured, opening and ending with a shared celebratory family picnic – a joyous occasion which, ironically, is also the scene of Fish’s long sought-after death or return to the water. The novel is narrated effectively by flashback “in the seconds it takes to die” by Fish Lamb, or the ‘spiritual’ omniscient Fish Lamb, free of his restricting retarded state. 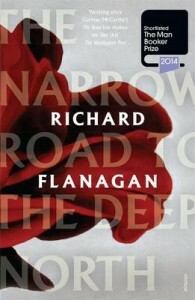 As such the novel gives a voice to social minorities, the Australian working class and the disabled. 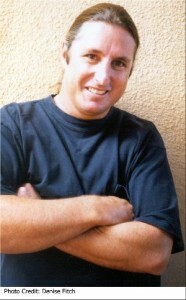 Timothy John Winton (born 4 August 1960), known as Tim Winton, is an Australian novelist and short story writer. He was born in Perth, Western Australia, but moved at a young age to the regional city of Albany. 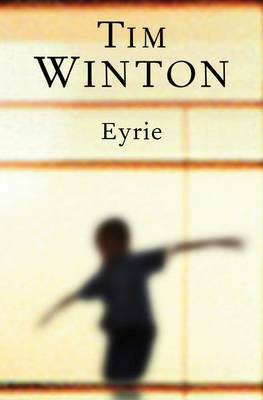 Whilst studying at Curtin University of Technology, Winton wrote his first novel, An Open Swimmer, which won The Australian/Vogel Literary Award in 1981, launching his writing career. He has stated that he wrote “the best part of three books while at university”. His second book, Shallows, won the Miles Franklin Award in 1984. 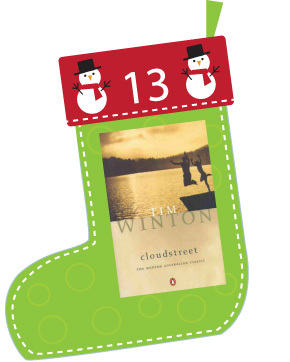 It wasn’t until Cloudstreet was published in 1991, however, that his writing career was properly established. Winton has been named a Living Treasure by the National Trust and awarded the Centenary Medal for service to literature and the community. He is patron of the Tim Winton Award for Young Writers sponsored by the City of Subiaco, Western Australia. He has lived in Italy, France, Ireland and Greece but currently lives in Fremantle, near Perth, Western Australia with his wife and three children. Georgie, the heroine of the book, becomes fascinated in watching a stranger attempting to smuggle fish in an area where nobody can maintain secrets for very long; disillusioned with her relationship with the local fisherman legend Jim Buckridge, she contrives a meeting with the stranger and soon passion runs out of control between two bruised and emotionally fragile people. The secret quickly becomes impossible to hide and Jim wants revenge, whilst the smuggler decamps to the farthest outback to escape a confrontation. His subsequent struggles to survive in the hostile environment and, knowing that he must try to literally cover his tracks, give this book its gripping denouement. 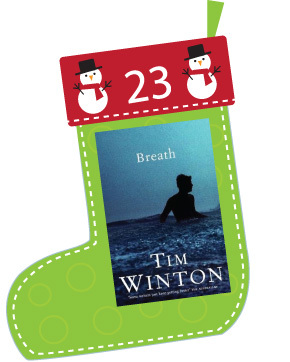 Breath is the the eighth novel by Tim Winton. 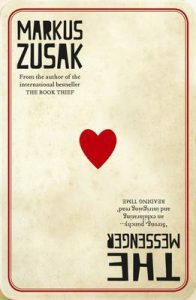 His first novel in seven years, it was published in 2008, in Australia, New Zealand, the United Kingdom, the United States of America, Canada, the Netherlands and Germany. The novel is set in a small Western Australian logging village named Sawyer, near the fictional coastal town of Angelus, which has featured in several of Winton’s works, including Shallows and The Turning. It is narrated by Bruce “Pikelet” Pike, a divorced, middle-aged paramedic and takes the form of a long flashback in which he remembers his childhood friendship with Loonie. The main action of the novel takes place in the 1970s. In the first part of the book, the narrator, Bruce Pike, recounts his boyhood friendship with Ivan “Loonie” Loon. As young boys, Pikelet and Loonie dare each other to perform dangerous stunts in the local river. When they become teenagers, they take up surfing and meet a former professional surfer named Sando, who leads them to new levels of recklessness. 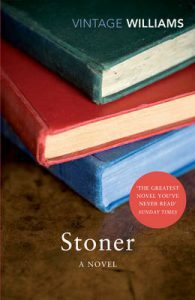 The novel explores the boys’ youthful urge to seek out the farthest limits of courage, endurance and sanity in an attempt to escape the ordinariness of their lives. The second half of Breath is concerned with the disintegration of Pikelet’s friendship with Sando and Loonie and his developing relationship with Sando’s American wife Eva. Well, this is exciting. My very first post in this wonderfully cozy corner of the blogosphere, talking about one of my favourite pastimes in the whole, wide world – books. ‘Poisoned Apples and Smoking Caterpillars’ is geared towards all things fantastical, so this blog’ll include high fantasy; science fiction; gothic Victorian fiction; paranormal fiction; historical and historical fantasy fiction; urban fantasy fiction; fairytales, myths, legends and their retellings… anything magical or removed from our current reality, basically. Fairy godmothers optional, orcs preferred. The blog title ‘Poisoned Apples and Smoking Caterpillars’ marries two famous motifs from my all-time favourite tales: no prizes for guessing that ‘Poisoned Apples’ belongs to the Grimm Brothers’ fairytale Snow White and the Seven Dwarfs; the ‘Smoking Caterpillars’ part hails from Alice’s Adventures in Wonderland, by Lewis Carroll (now more commonly known as Alice in Wonderland). Make no mistake, however – this isn’t a blog specifically about children’s books. Nor is it specifically a young adult focus. This is a blog that will feature the prim, the pretty, the ugly and the bloody, the innocent and the experienced, in equal measure. Apples and caterpillars are fine by themselves, but if they’re poisoned or smoking…well, it’s a whole different matter, isn’t it? 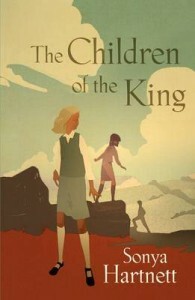 Philip Pullman’s one of them. C.S. Lewis is another. 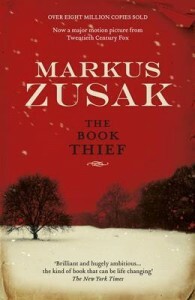 In terms of Australian authors, I pretty much worship Markus Zusak and Margo Lanagan…and if Tim Winton ever decides to write a fantasy, I’ll gush about him on here too. To tell you the truth I was a little nervous, writing this first post. It’s a lot of pressure, particularly as I want to be the best blog hostess I can be. I needn’t have worried – if you’ve ventured here in the first place, it’s likely that you love books just as much as I do. 55 books were submitted for this year’s Award. The shortlist will be announced Thursday 16 April at a media conference at the Galleries, State Library of NSW. The winner, who will receive $42,000, will be announced at a gala dinner Thursday 18 June. Judges for this year’s Award are Professor Robert Dixon, Professor Morag Fraser AM, Lesley McKay, Regina Sutton and Murray Waldren. The 2009 Miles Franklin Literary Award’s shortlisted authors and winner will again embark on a regional touring program made possible through the financial support of Australian copyright management company, Copyright Agency Limited (CAL).